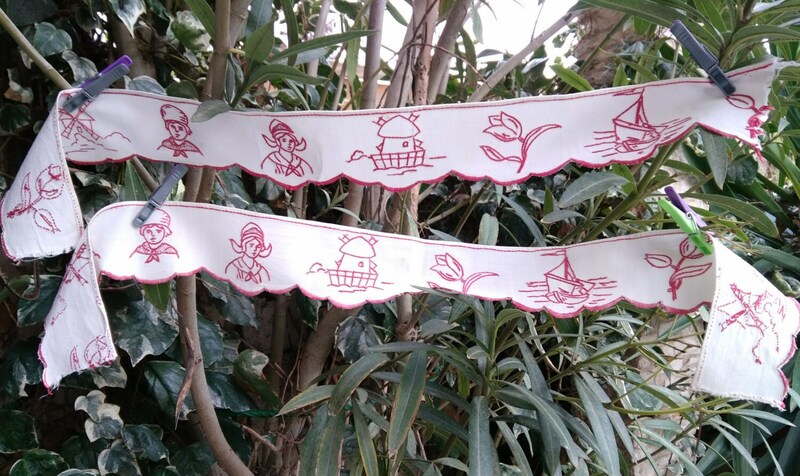 2 Folk country kitchen Café valances white linen made . 2 Long pieces 1880's valances or shelf edging. 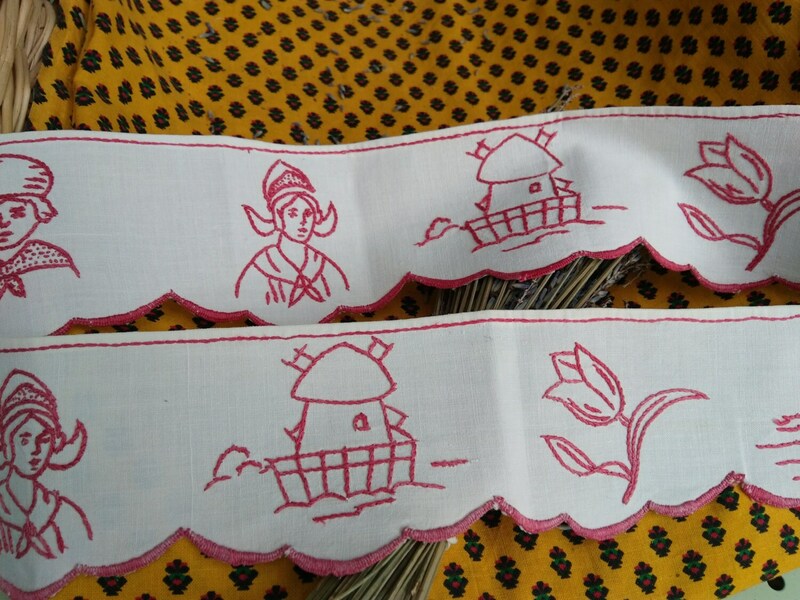 Red hand embroideries scalloped. 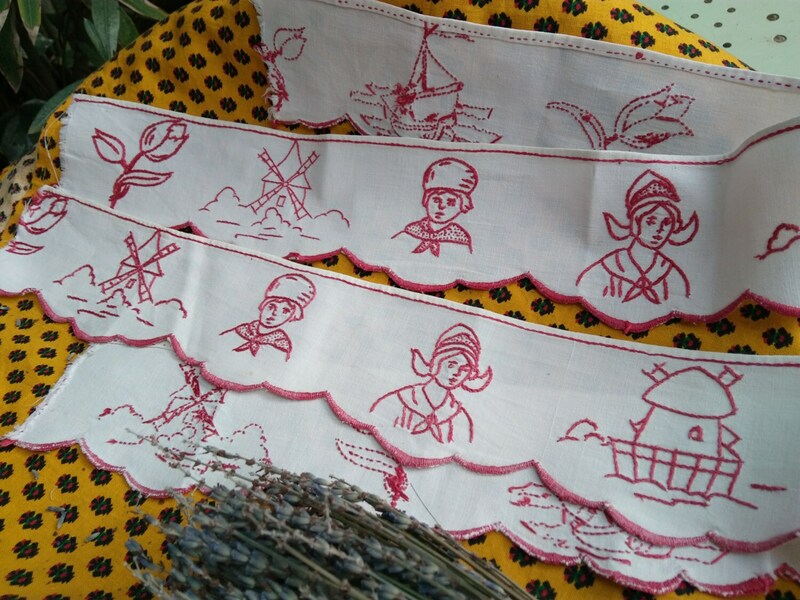 Original Dutch Folk villagers, Windmills, Sailing boats, tulips hand embroidered. Used to be set above fire place or along shelf borders. no hem line (only one done) could be sewn to the other piece or separated. 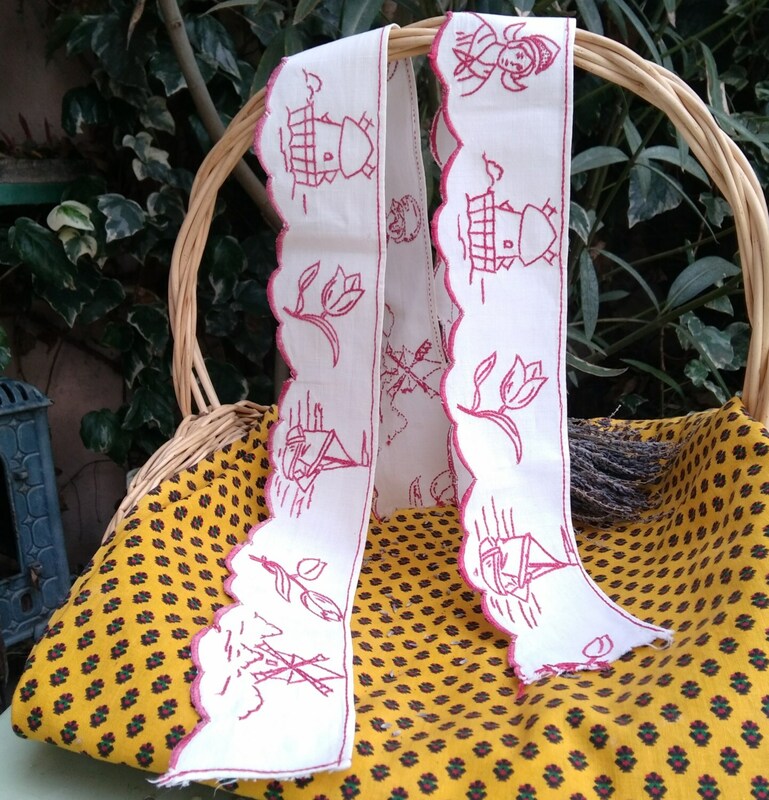 Gorgeous antique linen piece for window, shelf, kitchen , Café Home Decor !